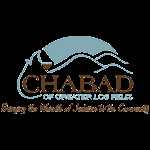 A long, long time ago, (back in the year 2003) a young and energetic Chabad Hebrew School Director decided to expand her recreational activities by joining a local Torah Dojo Karate class. Under the tutelage of "Sensei Diane" she began learning the techniques of Karate. One fine morning it dawned upon her that learning Karate was indeed quite similar to the reading program at the Hebrew School she was running. The parallels were incredible. First, both systems ran once a week, leaving way too much space time from class to class for any substantial progress. Second, at home, few parents were clued in to what the child was learning. Practicing Karate at home, no one would have noticed whether she was practicing a front, side or round-house kick. Similar to the parent who tries to help with her child’s Hebrew reading work but can’t tell a kamatz from a koobotz. And last, there were students of all levels in class at the same time. With all these similarities, there was just one major difference. In Karate, students were motivated to progress, were practicing for test dates with friends, and graduated from level to level quite quickly. Hebrew reading at the Hebrew School however was looking quite different. Students were learning to read year after year, without too much motivation to progress and failing to read properly by the time they needed to read for their Bar and Bat Mitzvahs. So what was being done in Karate that could be adapted to the Hebrew School? When a student steps into a Karate class, it is very clear what level everyone is on. The teacher is a Black Belt. Some students who have been studying for years are Purple or even Brown Belts. Beginners wear White Belts and there is a plethora of other colored belts. It is very clear what one needs to know in order to pass a level and the reward is merely the change in color belt, a change in status. REGISTRATION FOR 2017-18 now open! We are pleased to announce that registration for Hebrew School 2017-18 is now open! View Pictures from our latest event!